Description Of Item: Jedi Master Obi-Wan Kenobi has a bad feeling about this. 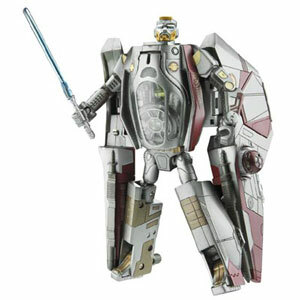 His mission is to track down and eliminate General Grievous, the much-feared leader of the Separatist droid army. Obi-Wan summons the force to change into Jedi fighter mode and flies across the galaxy to battle his enemy in a duel for the ages!